Lg appliance service center is constantly expanding the range of its services in order to keep up with the progress of the modern world. After all, every day somewhere functional appliances appear, and then someone will have to repair them if they suddenly break down. And our team of experts tries to keep abreast of the latest news from the world of consumer technology, raising the level of our knowledge which we use while realizing lg appliance repair. This helps us quickly to respond to any customer requests and intelligently perform diagnostic and repairs of household appliances. 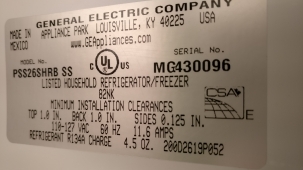 Our company Sunny Appliance Repair specializes on the technical items, for example, refrigerators, ovens and etc., which are manufactured by LG. 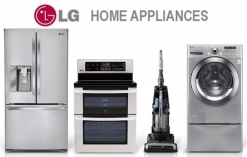 LG appliance repair service – call us to get help! We ready to repair your household appliances, because we have a full staff of employees who specialize in all kinds of devices and units. Moreover, we are good in lg appliance repair. We are capable to repair refrigerators, dishwashers and other units, as we possess the necessary specialized knowledge and working skills. A positive image of our clients and the environment in general has become the best advertisement, because we try to justify the trust and return to the house feeling of comfort, which can’t be bought for any money. And to support lg appliance service more, we constantly send our employees to the offices, lectures and seminars of the leading company, whose technique should be repaired in a specific way. In this way our experts get the new instruments and hear about the best ways of repairing and avoiding possible problems. And at such training courses engineers always tell about the proposed prevention of home appliances which will protect equipment from damage and help to make service life more long. Incidentally, the pricing of the lg appliance repair service impresses all of its availability. We always tell the customer the price of further work after the diagnosis, so they weigh and agree to the continuation of work of the master. Although our professional experts are looking for the necessary spare parts, components and consumables, the final estimate will be given quickly and your budget will not lose a lot. As for guarantees, they are always issued at the end of the work to the client. Even on parts which are purchased by us to various household appliances, we give warranty for a period of six months. Fortunately, working with global supplier and getting original spare parts and tools allows us to be completely confident in our and its work.